The Deux ring is almost a band, and almost a solitaire, and somewhere between the two. Two stone rings have been captivating people for centuries, due to their symbolism of two stones joined together into one ring. This setting was meant to be worn as a band, an accent ring in a stack and as a stand alone statement ring. Also available in three stone and solitaire versions. 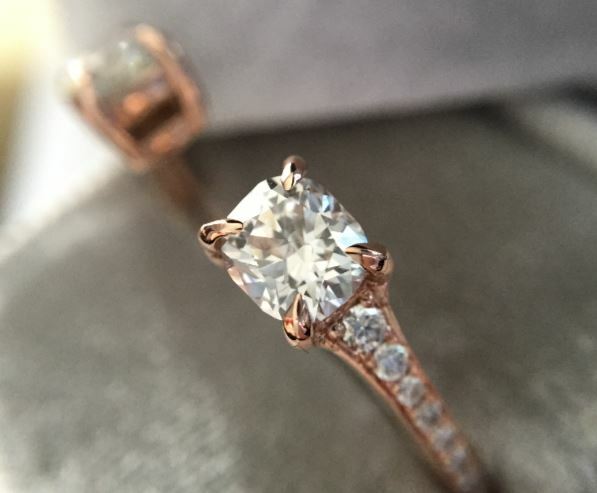 Shown with .69 carat cushion cut diamonds in 14kt rose gold plus .12cts of single cut diamonds. The Deux ring is available by special order. Please contact us with inquiries. 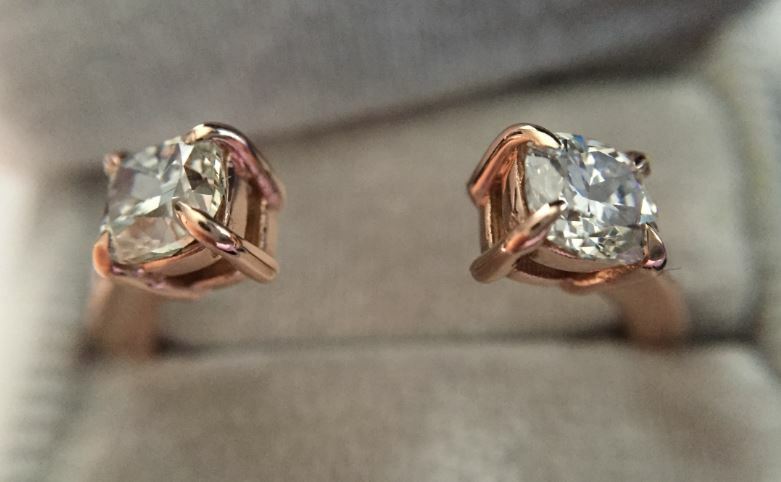 Starting at $1,000 in 14kt gold.